Cricket Memes - Indian Team and Yuvraj Singh: People from both the countries Pakistan and India took to the Internet to express their views after the final of ICC Champions Trophy 2017 and we have seen some of the funniest, most badass cricket memes from both audiences. The ICC Champions Trophy 2017 produced some heated debate across social media. 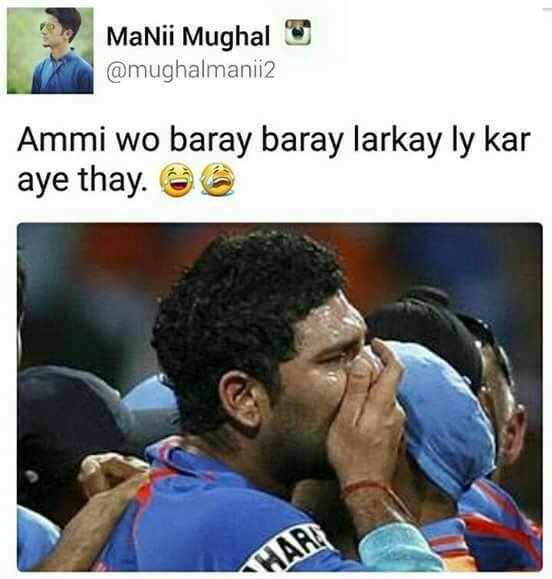 We saw Twitter become the battleground as Indians and Pakistani cricket fans hurled funny jokes at each other, producing memes that even insulted each other. Rishi Kapoor's tweets attracted anger from Pakistani audience.